Lexpert has, for a decade, noted his prominence in Commercial Insurance, Products Liability, Class actions, Professional Liability and Personal Injury. Brian is an Adjunct Professor (Medicine and the Law) at Osgoode Hall Law School. He is also a member of the distinguished American College of Trial Lawyers and has been listed as among Canada's top 500 lawyers since 2002. Brian received his Bachelor of Arts from the University of Western Ontario and his LL.B. from Osgoode Hall Law School. 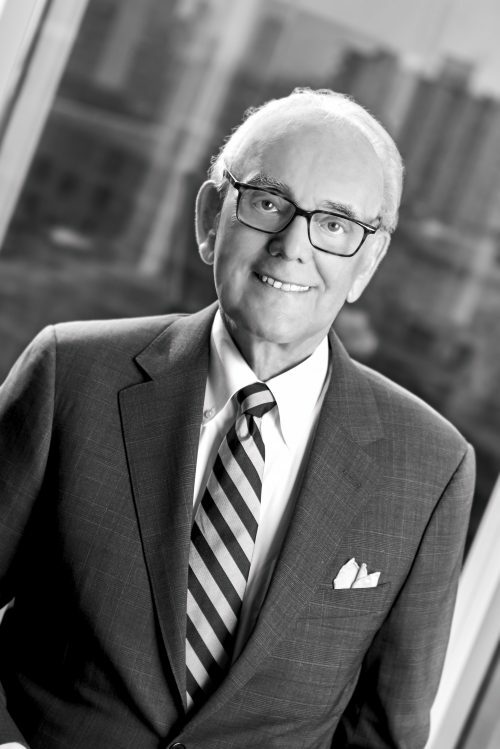 He was admitted to the Ontario Bar in 1969 and appointed Queen’s Counsel in 1981. Brian has lectured extensively on such topics as products liability, class proceedings and social host liability, and participated in the Law Society of Upper Canada Special Lectures on Professional Liability. He is an adjunct Professor at Osgoode Hall Law School and has taught Trial Practice at The University of Toronto, the Bar Admission Course and “Medicine and the Law” classes at Osgoode. His participation in publications and litigation programs are too numerous to list.